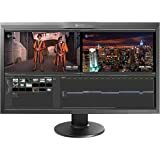 We would be looking at some of the better monitors for video editing currently available. Rarely, you will need a high refresh rate (mostly required by gamers and not a photo/video editor). To learn more about the monitor tech specs you can jump down to the Video Monitor Technical FAQ. 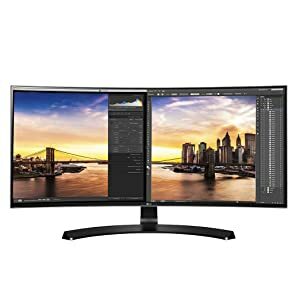 Let’s look at a few monitors for video editing. This is not supposed to be an exhaustive list. So feel free to suggest your own if you feel we have missed out on anything that should have been on this list. 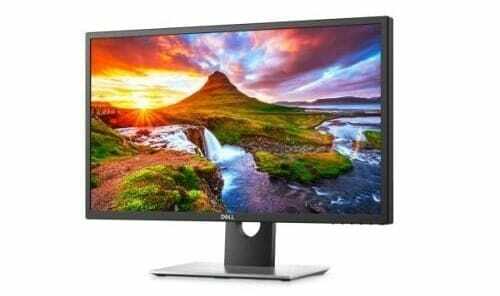 The Dell UP2718Q is a 4K HDR monitor specifically designed keeping in mind the demands of a photographer and a video editor’s workflow. This monitor with a price tag of under $1,400 has a 4K / UHD resolution (3,840 x 2,160). 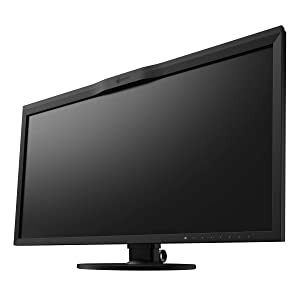 The brightness of the monitor is 1000 nits plus a high contrast ratio of 20,000:1. Additionally, the monitor has 384 local dimming zones. Together, these ensure that the display produces high contrasts and better color reproduction. 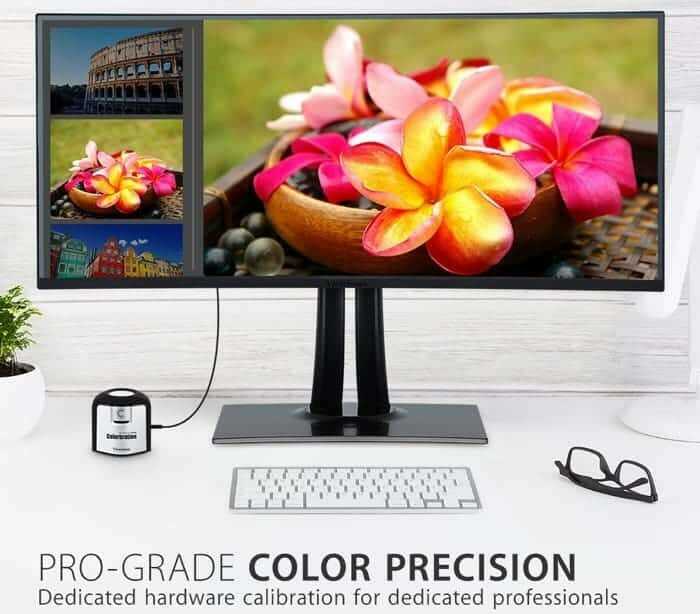 Furthermore, the monitor conforms to the requirements of video editing by complying with 100% AdobeRGB, 100% sRGB and 100% Rec. 709 color spaces. The ViewSonic VP3881 38” Pro Ultrawide Curved Monitor has a pro-grade color precision calibration hardware. 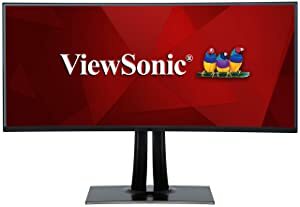 The ViewSonic VP3881 is a 38” curved monitor with a resolution of 3840 x 1600 (WQHD). Speaking of screen space and resolution you may also be interested to know that the pixel density is 110 PPI. Curved monitors are somewhat of a style statement and for many video editors it may come across as an excess rather than a necessity. The ViewSonic VP3881 conforms to 100% of the sRGB color space as well as Rec709 color space. The monitor has a 10-bit color depth and uses a 14-bit 3D LUT. You can do hardware calibration using the ViewSonic Calibration Kit. The kit, however, does not come bundled with the monitor. The monitor has a peak brightness of 300-nits. As well as a contrast ratio of 1000:1. Resultantly, the monitor will not be able to detail HDR images as well as the other monitor we discussed before. The monitor comes with several connectivity ports. The main ones are a DisplayPort 1.4, HDMI 2.0 (2 nos) as well as USB ports. 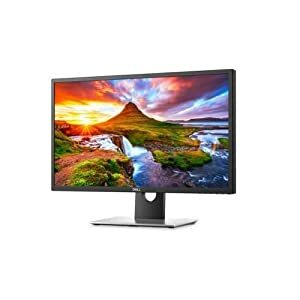 The LG 34UC80-B 34″ UltraWide QHD IPS Monitor, another great video editing monitor option. The ViewSonic VP3881 is a curved ultrawide monitor with a QHD resolution. The aspect ratio on the monitor is 21:9. The precise resolution being 3440 x 1440 dots. The monitor covers 99% of the sRGB color space. Connectivity ports include a DisplayPort, two HDMI and several USB ports (both upstream and downstream). The later allows our devices to be charged directly from the monitor. The contrast ratio is 5M:1 which gives it capabilities to handle HDR images and footages well. The LG 34UC80-B comes with Screen Split 2.0 feature. 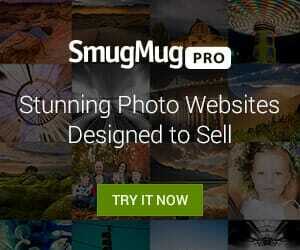 This allows you to use to different applications, screens at the same time. If you are looking for a top-notch monitor for the purpose of editing your video footages you wouldn’t have to look beyond the Eizo CG319X . This is a high-end monitor with full DCI-4K resolution. It replaces the older CG318-4K. The large 31.1” display is perfect for the purpose of editing videos as well as photographs. The monitor supports 98% DCI-P3 color space and has a contrast ratio of 1500:1. An interesting feature of the Eizo CG319X is the automatic color adjuster based out of a sensor that’s embedded in the system. Depending on the temperature of the room as well as the brightness the sensor will automatically trigger an adjustment of the color display on the monitor. The Eizo CG319X has an array of connectivity ports. These include a couple of HDMI ports and two DisplayPort input. TN, VA, and IPS which one Should I Buy? TN panels are the cheapest of the lot. On the flip side, they lose color accuracy very quickly as you look at it from even a slightly skewed angle. Even when you are looking at them straight on color accuracy is not satisfactory at all. Though you would hardly be editing your videos from an angle of 145˚, the option to display and let clients or employees look at your presentation in a much more comfortable way is not bad to have. In that sense, VA and IPS displays are better. Generally speaking, a monitor that supports an 8-bit LUT (Look Up Table) is a much better option than something lower than that. If your camera is capable of producing images that are 14-bit or even 16-bit that means you are capturing nearly an unlimited number of colors. But what’s the point of all colors if your monitor is incapable of showing them? A monitor that supports 10-bit LUT might just be prohibitively expensive. An 8-bit LUT is a better compromise. These days the best monitors for video editing have even higher LUT tables. These days everything is getting bigger and sharper. With larger display sizes you can get the advantage of higher resolution displays. Plus, larger screens means you can see the full timeline of your videos while editing. Most video editors use Adobe Premier or Final Cut Pro or some such applications for their video editing work. A larger display size allows them to have complete access to what they need to see in a single window, including an extended timeline. Full HD is the core minimum if you are a photo and especially if you are a video editor. If you need higher resolution video editing, you need a better resolution. A higher resolution monitor with a display ratio of 21:9 (which is larger than the traditional widescreen resolution of 16:9) is a better choice. These ultra-wide and ultra-high display resolution monitors also come with split screen features. Split screen feature allows you to do two sets of work at the same time. Looking for a 24 or 25 inch QHD 2560×1440 monitor to replace my 1080p that I use with Edius 8. 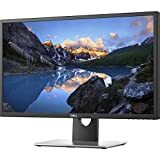 Have any opinion about the Dell U2515H and the Benq BenQ BL2420PT? Both are on sale now.